I was traveling for work again last week. While I am not the typical business traveler, I do fly about once per month. It’s taken me a while, but over the years I have become a smarter traveler. Here are ten tips on what you need to do prior to take off. 1) Lose the 1-Quart Ziplock bags. I used to hoard Costco size cases of these because I would take several on each trip as the original one inevitably failed. I now travel with a Tumi split toiletry kit (sold as the Laval or the Lima or the Alpha 2 Split travel kit) that has a clear quart size half where I store all of my 3oz or smaller liquids and gels and two smaller clear zip pockets on the opposite side to store my tooth brush, cotton squares, razor, etc. I have been through security over a dozen times with this. No issues. 2) On the subject of travel size liquids, ditch your body lotion when traveling. It’s easy fill said quart with all the liquids and gels a gal like me needs while away. If you aren’t planning to check a bag, this can be a problem. Luckily, while I am unwilling to part with many of my lotions and potions for hair, skin, and hygiene, I have found the perfect solution for moisturizer that saves me 3 ounces of room in my toiletry kit. Basin’s solid moisturizers don’t need to go in a 1-Quart clear bag but still smell amazing and relieve dry skin. 3) Bring along dry shampoo. When I travel, I want to look my best. For short trips (this one was just two nights), I use my full size tools to show my wavy hair who’s boss before leaving (the index blow out). Once I have put in all this effort, I don’t want to just wash it out with the next shampoo so I extend my style with a travel size Batiste dry shampoo. The cherry scent doesn’t give me migraines and I get multiple days of shiny locks without an oily itchy scalp. Plus, I can travel with less shampoo and conditioner (yah, more room in the Tumi!). 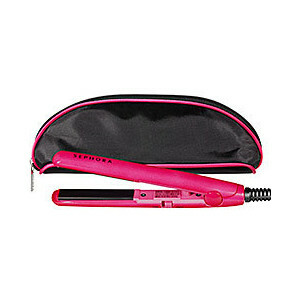 4) But the blowout will need a little maintenance, so bring a mini flat iron. me. Of course, if I am extending my blow out I don’t really need all that power and I don’t want to take up lots of cargo space with my full size barrel brushes, 2 in curling iron, and 1 in flat iron. But I do have some waves and curls that spring back against the index blow out. To touch up these spots I use my Sephora mini flat iron to control the wayward strands after dry shampooing. The heat resitant bag is awesome for packing up on the last day right after getting ready. 5) Speaking of looking your best, no matter what make-up you choose to pack, you must pack the right make-up brushes. I typically don’t wear make-up at home, but, like I said, I tend to try harder when I travel. After all, I am not wearing my OR mask or taking overnight call. I’m not rushing for a 6am meeting or rounds. The commute from the hotel room to the conference is so forgiving that I can put a little bit more effort into my appearance. I don’t travel with all my make-up, just a few go to items that allow me to put on my business face (Smashbox Photo Finish Primer, Philosophy Supernatural Airbrush Canvas, Origins Liquid Lip Color, and Clinique Water Resistant Cake Eyeliner) or glam it up for evening events (Nars Eye and Cheek Palette and DiorShow Iconic and Blackout Mascara). Of course none of these will work if applied with crappy brushes. 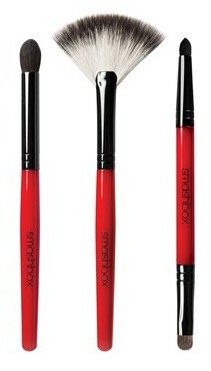 I have found the perfect set of travel brushes in the Smashbox trio that I have paired with a Sephora travel brush set. They all travel together in the Sephora case. 6) Since traveling will wear you out, no matter what make-up you bring and how awesome your brushes are, you must never leave home without a highlighter. YSL Touche Éclat is hands down the best beauty product I have ever known. While I could pair it with multiple other products to give me a slept like a baby look after a red-eye or a long night at the hotel bar apres meeting, what I really love about this product is that it is also a stand alone miracle worker. When my entire morning routine falls apart and don’t have time to hit the make-up bag, I can still almost fake sleep by just dabbing a little under my eyes and on my brow bones, along the sides of my nostrils, and around the upper lip. No other products necessary. Love this product. I wouldn’t both trying the competitors out there. YSL created this genre of beauty product and nothing else compares. 7) Unless it’s tropical on both ends of your trip and over all land masses in between, carry a packable coat with you. A few years ago, I made the mistake of traveling during winter from the east coast of the US to India without a winter coat. Yup, I just sucked up a slightly chilly ride to the airport leaving my coat at home figuring I didn’t want to lug it around India for a month with temps in the 80-90 degree F range. But I got stuck in London along the way due to a snow storm. No flights in or out for 3 days and I didn’t have a stinking jacket. So now, I have a packable down coat. If it’s cold at home when I am leaving, or if the destination is chilly or if I get stuck in another unexpected storm, it keeps me warm. When I don’t need it, it weighs nothings and takes up nearly zero space in my luggage. Plus, it can also double as a cozy little pillow during layovers or o n the plane when compressed. I got my Active Basic Packable Jacket from Bob’s stores for a steal and it continues to serve me well. The pix of the more expensive one from Land’s End below show the packability and pillow effect better though. 8) Along the lines of portability, never travel without ballet flats. I love my heels for non-scrubs work attire and since I always workout when I travel a also bring a pair of cool kicks with me. For years, I would just throw on the sneakers for rambling through the terminal. Quite frankly, while I am totally embracing the sporty chic look on my weekends at home, I have decided that sneakers with quasi-professional travel attire is not the look I am going for. So now, I travel in my Tory Burch Caroline Flats. I honestly love these shoes so much that the biggest hassle these days is which color of the 5 pairs I own I should take with me. As a bonus, I can toss them in my work bag as a high heel rescue if ever needed in case of emergency during the business meeting. 9) Speaking of quasiprofessional attire, travel in comfortable pants. I fly coach (I am in academic medicine after all). While lots of professionals travel clad head to toe in the suits/dresses they are intending to wear on the other end, I just won’t subject myself to that kind of discomfort. But, keeping the blazer or cardigan out of the luggage is a huge space saver. I used to travel in jeans but honestly I am just not in love with that look (though lots of men pull of jeans, button down, and blazer with aplomb and I don’t begrudge that eye candy). I have found that Athleta’s In Fusion pants and herringbone Chaturanga Leggings (both in black) pair exceptionally well with the black blazer or cardigan that I inevitably take on these trips with me worn over any one of my casual or more formal tops. I have already declared my love for Adea layering tops in this forum before. Nothing is more versatile or comfortable. I never travel without a white 3/4 sleeve scoop neck Adea top (but as you can see, there are other colors and I own 20 of them in various shades and shapes) I can wear it under short sleeve or sleeveless dresses and tops. I can wear it as the base layer under a suit. I can wear it as an undershirt under a blouse or button down. I can even work out in it if in a pinch and then hand wash it quickly. It dries in under an hour. 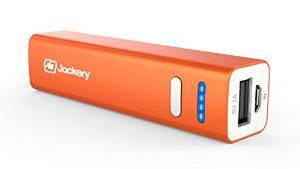 10.1) And finally, since you don’t want to risk running out of juice when your trying to follow this blog on the WordPress mobile app, get yourself a portable battery charger. I have only had my Jackery portable charger since October and I honestly have no idea why it took me so long to get one. For years if would run out of power on my mobile phone in-flight (out of luck) or mid-meeting (need to hunt the periphery for an electrical outlet). I have even had to seek out post-meeting dinners based on weather or not I would be able to eat while having my phone plugged in. The solution to these battery life problems is simply having a back-up charger that is super portable, reliable, and matches most of my accessories. Bonus, I keep it with me on call too so I also no longer worry about running out of juice at an inopportune time in the midst of a 36 hour stretch at the hospital.